The Florida Department of Education (FDOE) will celebrate Florida School Volunteer Appreciation during the month of April. From donating time to assist with classroom and school activities to mentoring students, volunteers play a significant role in our schools. When schools and volunteers work together to support learning everyone benefits. Therefore, it is important that we celebrate volunteers who serve tirelessly to improve the lives of Florida’s students. During the 2016-2017 school year, over 500,000 volunteers reported almost 16 million hours in Florida schools. We are grateful for the incredible volunteers who have shown outstanding dedication and commitment to quality education in Florida. We appreciate all of our Volunteers for their continued support and dedicatiion to the students of Madison County. EMPLOYEE APPRECIATION DINNERS - THANK YOU!!! We would like to thank the following community supporters for their assistance with the Employee Appreciation Dinners. The dinners were wonderful and were enjoyed by all in attendance. We would also like to say a "Special Thank You" to Mr. George Williams and Mr. Jason Justus for planning and hosting the dinners. Madison County School District personnel will be participating in School Safety Training provided by the Madison County Sheriff's Office. This training will be held on Monday, April 9, 2018. Due to this training, Monday, April 9, 2018 will be a student holiday and an employee workday. Students will NOT report to school on Monday, April 9, 2018. All schools have been released from the lock down. 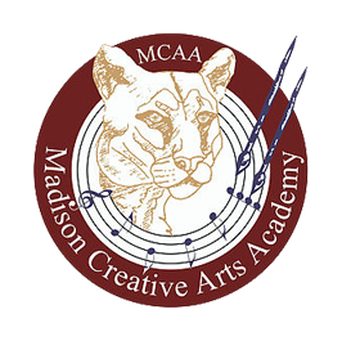 Due to an incident in downtown Madison, MCCS, MCHS, JMPHS, MCAA and NFCC are all on lock down for safety precaution reasons. Congratulations to Madison County High School student, Esther Hernandez on winning the prestigious Biletnikoff Scholarship Award on Saturday, February 10, 2018. The District School Board of Madison County meeting originally scheduled for February 19, 2018 at 6:00 p.m. has been rescheduled and will be held on February 19, 2018 at 5:00 p.m. Please remember that Valentine's Day Deliveries are NOT ALLOWED at all Madison County Schools.